Demo Day-type organized pitches in a large conference setting to an audience of investor types are a great way to expose aspiring startups to the world, but it’s still quite limiting – there’s only that many startups that can be showcased in a day, and not every investor will be interested in every single startup especially if they fall outside their preferred areas of interest. But technology can help – and early-stage business incubator Think Big Partners believes it has the solution. 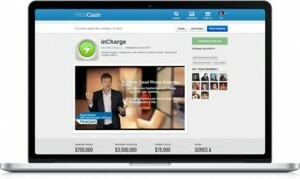 It’s launched PitchCastr (http://pitchcastr.com/), a virtual demo day platform to connect entrepreneurs and investors. The platform uses a filtration process to match entrepreneurs to investors with specific areas of interest, and employs a standardized format for a live, virtual pitch from wherever they are. All an entrepreneur needs to do is to create a profile, upload their business plan and record a seven-to-nine minute video pitch. If enough investors express interest in the idea, the entrepreneur will be invited to hold a Live Demo Day to pitch to those interested potential investors. “PitchCastr is not only a simple way to get your idea out into the world, but will also be the best way to connect with investors who are interested in your idea and ready to fund it,” adds Sih. PitchCastr is currently operating as a free service during private beta this month.